Professional online poker players seem to cruise effortlessly to one big win after another, but what the rest of us don’t see is the hard work that’s gone on behind the scenes to get them there. Although players can be gifted in terms of having an aptitude for the strategies involved, they have all had to practise and refine their skills for hours at a time. But did they learn how to play poker without the aid of a coach? Most novice players start in an informal way, learning the basics of the game in online video poker sites, reading books giving tips on strategy and seeing what the latest blog posts can tell them. As they work their way up the poker playing ladder, some of them will want to start competing in low level tournaments where after a few wins, they’ll become inspired to progress to the higher competitions. The next stage is often taking out a subscription at an online poker training site. These provide valuable tuition in the form of video tutorials and forums and can cost between perhaps £20 and £40 per month. Players will learn strategies and get the chance to put their skills into practise, but there are limits on exactly how far they can get. An online poker school can teach in a generalised manner and doesn’t allow for individual personalities. Being a professional poker player is an exacting role calling upon skills that can only be learned from experience, something the poker coach will have in abundance. 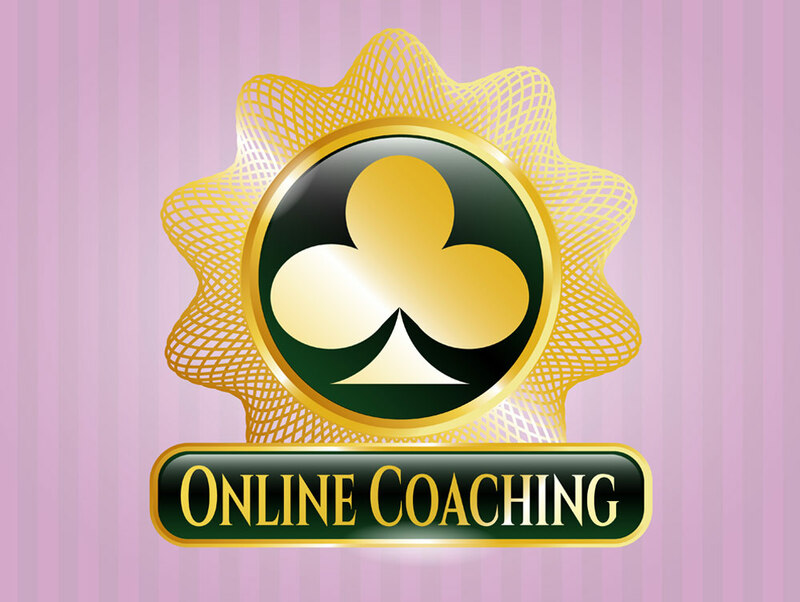 What Is A Poker Coach? A poker coach is usually a highly experienced player who has honed his skills for years on the professional circuit. He might be a consistent top winning player or an extremely competent player who sometimes just misses out on the first prize. Either way, if you pay for the services of a poker coach, you’ll get their undivided attention for an hour or two and benefit from their expertise. A poker coach can offer highly personalised tuition, highlighting an individual player’s weaknesses and strengths and helping a player to overcome any lack of confidence. Bluffing skills in particular are difficult to learn from a book, but a poker coach can pass on tips that will be invaluable in tournaments. Paying for the individual services of a coach is obviously going to be on the expensive side as he will be used to commanding a high price through his winnings on the poker circuit. A typical hour long fee is around double that of a month’s subscription at an online poker training site. Is the extra money worth it? Learning how to play poker with a view to becoming a regular circuit player, is like training for any top sport. Practise makes perfect and those hours of grinding repetition will eventually pay off. A poker coach can help analyse a player’s style of play through a database review and then sending a detailed report to the player by e-mail, he can supervise a player’s on table action to see exactly how a player can improve and then there are individual lessons directly through Skype. A player will get a great deal of help and attention for the fee, but value depends on the player’s own ambitions. Every player, even those who only want to play for fun, can benefit from poker lessons. Players who are content to play in low level tournaments once or twice a week would probably feel that an online poker training site can give them enough tips. But a player who has the drive and ambition to become established in the higher category tournaments will view the poker coach fees as a vital investment that is almost guaranteed to pay dividends in the long run. Professional poker playing needs a steady progress up the ladder, learning in minute detail the tricks of the trade and most importantly, analysing everyone’s play. Even professional players themselves acknowledge that the breakthrough for them came when they booked lessons from a coach. The individual analysis and tutoring is a critical step in the novice player’s quest to leap into the big time and learning from an expert’s unique experience and knowledge is one of the most positive steps towards success.